At NC State, education is all-encompassing. With your support, we give students the forward-thinking skills and experiences they need to thrive in the real world. 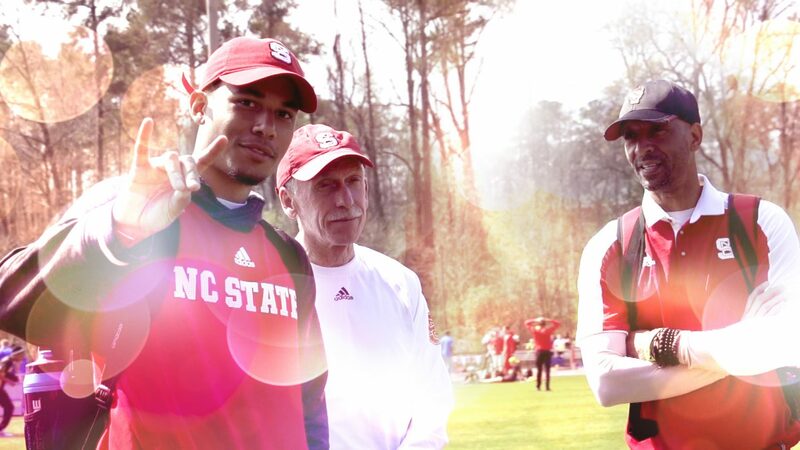 Discovery and learning occur across fields, disciplines and programs at NC State. By giving our students access to hands-on education, such as internships, study abroad and service learning; a world-class library; and thriving arts, social, athletics and cultural programs, we provide them with new perspectives that add even greater value to what they learn in the classroom. A university education can’t stop at the classroom door. It has to show students just how extraordinary they can be. We take pride in our students. We want them to leave the university ready for success — in a career, the community and life. Ensuring well-rounded graduates requires providing not only an excellent academic education but also access to other high-impact experiences. Top-notch programs in community service, health and wellness, career development, cultural competence and higher-order thinking skills all make the difference. Whether they share community in one of 16 themed Living and Learning Villages; participating in an Alternative Service Break trip; work at an industry internship coordinated by the Graduate School; march with the Power Sound of the South; participate in a thriving fraternity or sorority; or win an athletics championship that lights the Belltower red, NC State students build important skills. They learn confidence, independence, creativity, teamwork, time management and perspective. Opportunities to perform undergraduate research, channel a passion for the arts, enter a hands-on business case competition or study in a world-class library should not be luxuries. Private support makes a direct, immediate impact on life-shaping experiences that turn NC State students into achievers and lifelong learners. This Campaign will enhance the student experience on our campus, broadening horizons and helping ensure that each and every student finds his or her unique place in the Pack. Stephen Amoah is among several students who have received Steve and Jane Warren-Wolfpack Club Graduate Fellowships, designed to help former student-athletes further their education. Biological sciences major Gianna Rizzi has enjoyed unforgettable experiences — from pumping up 50,000 fans to winning nationals — as a Wolfpack cheerleader. 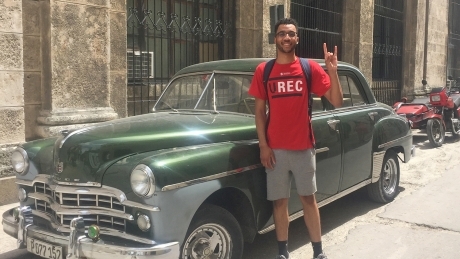 Political science major Marquan Hamilton's eye-opening study abroad experience in Cuba, made possible by multiple scholarships, is a testament to the power of philanthropy.